The play, Old Stock, is set in 1908. But its message has bearing on the contemporary influx of refugees coming to Canada and being met, in some cases, with anti-immigrant sentiment. Playwright Hannah Moscovitch has been called one of Canada's greatest young talents. For her latest project, she decided to delve into her own family history, reviving the characters of her great-grandparents Chaim and Chaya Moscovitch who arrived as Jewish refugees in Montreal in 1908. Moscovitch is now based alternately in Toronto and Halifax, but she attended the National Theatre School in Montreal and the city was the first place her great-grandparents settled when they arrived in Canada. 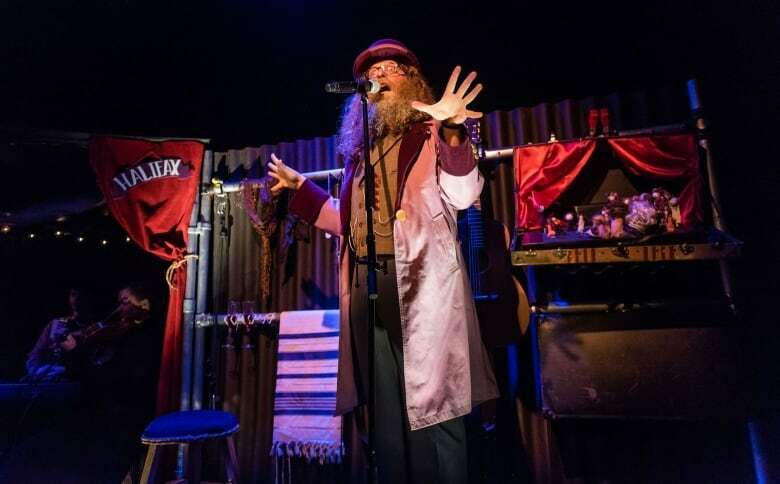 This journey sets the scene for the play, called Old Stock: A Refugee Love Story, which features a musical score co-written by and starring east coast folk musician Ben Caplan. "Over the course of the story, we look back in these little vignettes of their life and these recollections of some of the horrors and traumas they experienced in the 'Old World,'" Caplan told CBC Montreal's All in a Weekend. The score is heavily influenced by klezmer music while the aesthetics are definitively circus-inspired. As the actors come spilling out of a closed shipping container, Caplan's larger-than-life eccentricity and presence fill the small studio space. The music, which has been released in the form of an album under Caplan's label, is at times upbeat and frantic or haunting and steeped in tragedy. "It's party music. It really is a music of celebration, although it has this quality of mournfulness and it's that tension between those two qualities that's always interested me," said Caplan. The production proves a collaborative success with Moscovitch's husband Christian Barry co-writing the music, directing and co-designing the sets and lighting. ​Old Stock's action follows Caplan as the narrator and bard who tells the story of Chaya and Chaim's escape from persecution in Romania, arrival in Halifax and uneasy integration in Montreal. 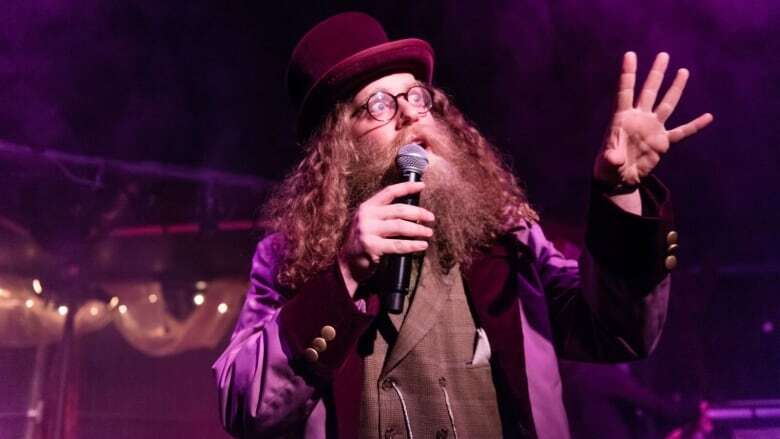 "I'm sort of the mischievous guide who brings the audience through the experience of the show," said Caplan, of his character, "The Wanderer." The two other actors, Dani Oore and Mary Fay Coady, play Chaim and Chaya respectively and work double time while also playing woodwind and violin in the band. Caplan said that despite the play being set in 1908, its message has bearing on the contemporary influx of refugees coming to Canada and being met, in some cases, with anti-immigrant sentiment. "In many ways, this show was made, not with the goal of talking about Jews in 1908, but with the goal of talking about Syrians in 2018," he said. "The idea of the story of this play is to focus in deep on these two individual lives, on the face of humanity through this very specific story as a lens to reflect on our global humanity." The play was first performed in Halifax by Barry's 2b theatre company and is now touring with help from the National Arts Centre. 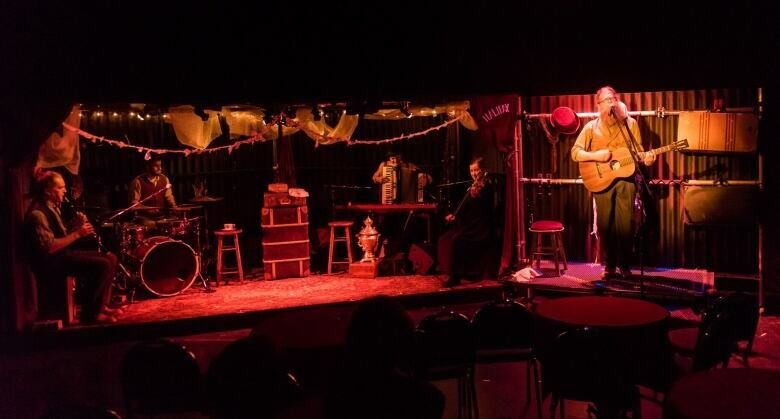 The Segal Centre for Performing Arts brought it to Montreal in association with the St-Ambroise Montreal Fringe Festival. Before coming to Montreal, the show toured parts of Europe and received rave reviews during an off-Broadway run in New York City. After opening Dec. 6, the run at the Segal Centre has already almost sold out and has been extended until Dec. 19. 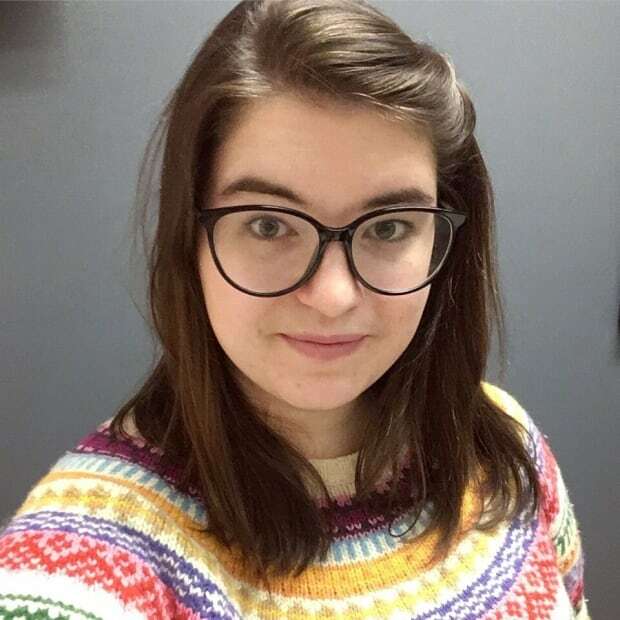 Marilla Steuter-Martin has been a journalist with CBC Montreal since 2015.